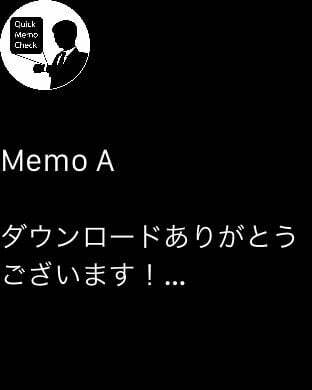 Adjust for Apple Watch, this app is fastest easiest memo app, named Quick Memo Check! This app is the best solution for glance memo quickly on Apple Watch! Quick Memo Check is a very simple and nimble memo app that you can save up to five notes. 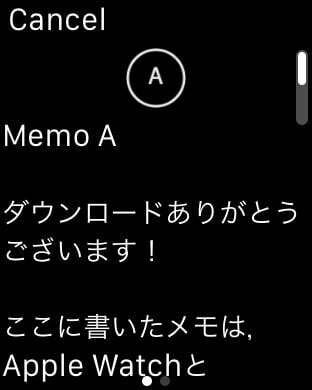 Of course you can glance some memos on Apple Watch and iPhone. If your iPhone shows lockscreen, you can check memos on widget of notification center. Since this app is equipped with standard features for free, so do you try this app? This is wasting the time!! 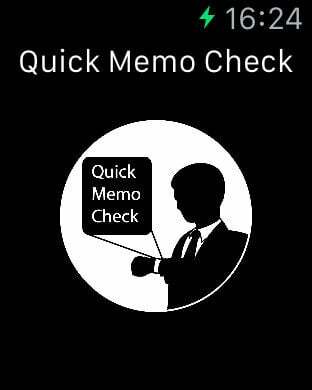 If you use Quick Memo Check, absolutely this situation will be changed. Do you note a temporary memos such as shopping lists and today's ToDo list? You can glance the memos quickly on Apple Watch anytime anywhere. 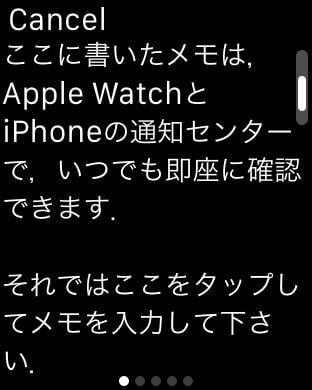 If you don’t have Apple Watch, It’s OK! You can check the memos on widget of notification center of iPhone, if your iPhone shows lockscreen. No confusing settings are needed! Only open this app and note something, that's all! Your device will be more convenient. As the operating conditions of this application, I need iOS8.